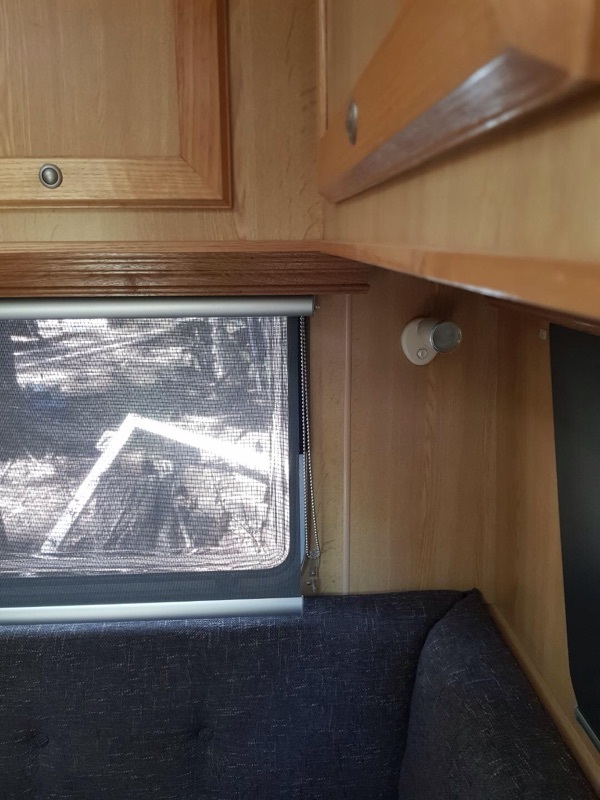 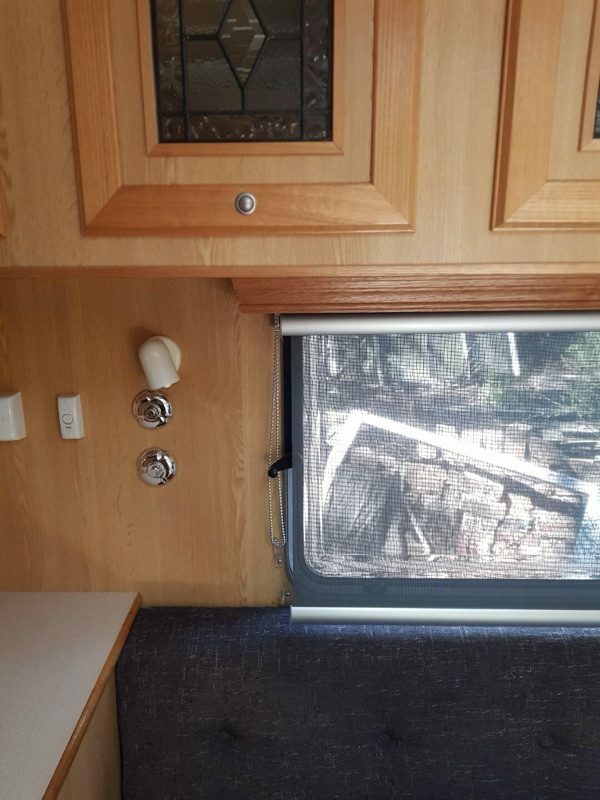 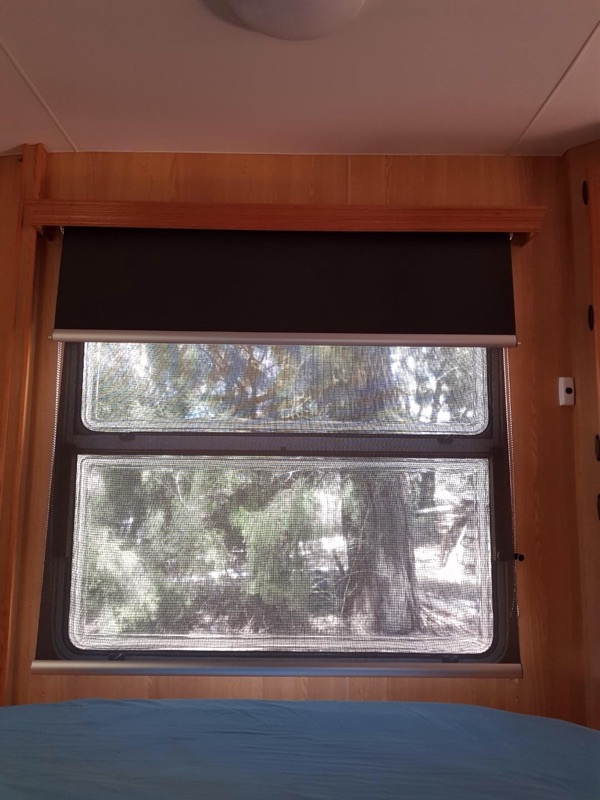 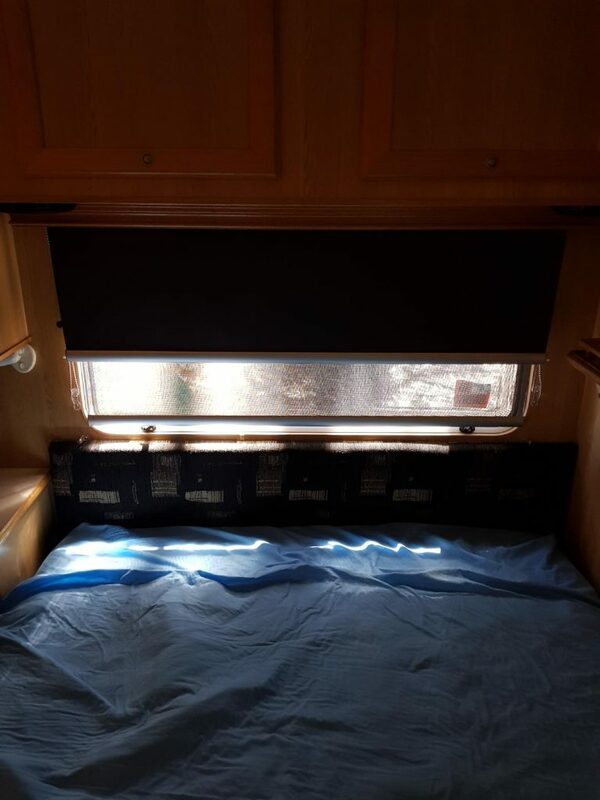 Looking to update the Caravan with Dual roller blinds, blockout and sunscreen. 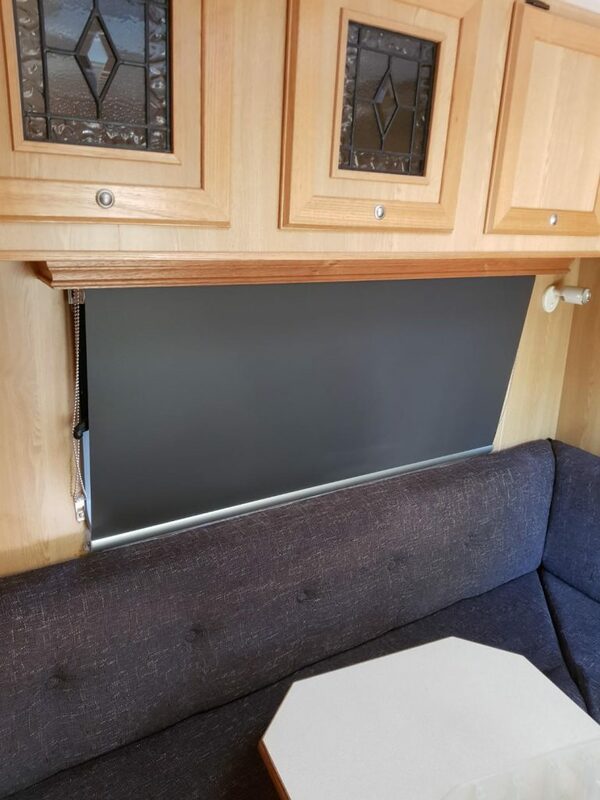 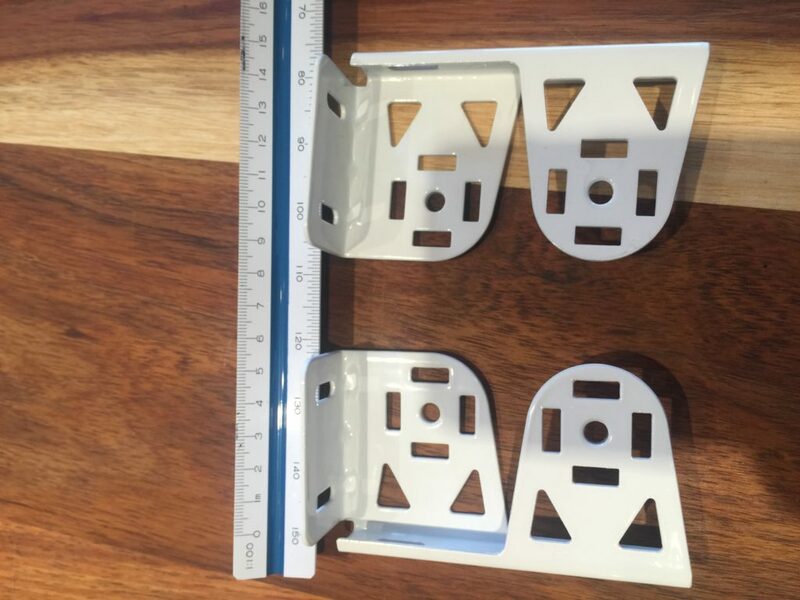 We use a small format dual roller blind bracket on our 32mm tube allowing the bracket to fit under the existing pelmet. 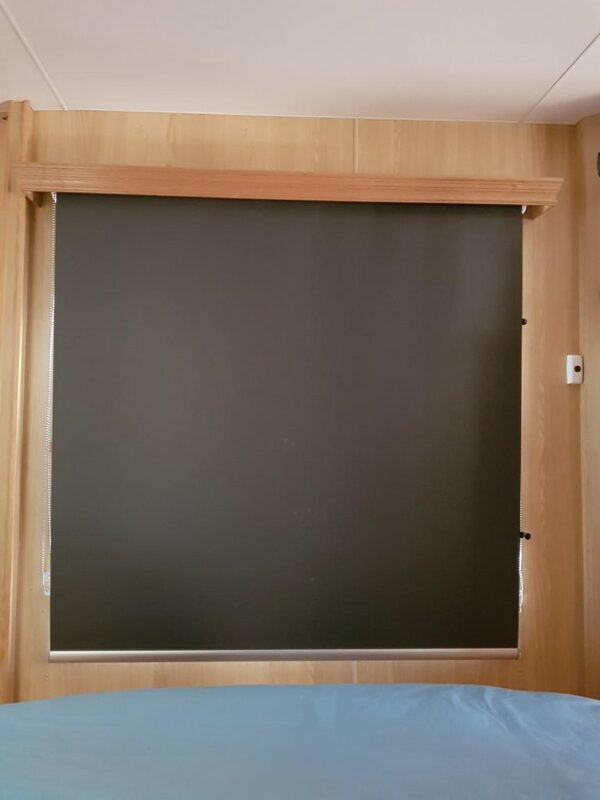 The Suncreen blind provide coverage during the day and the blockout gives privacy during the evening.